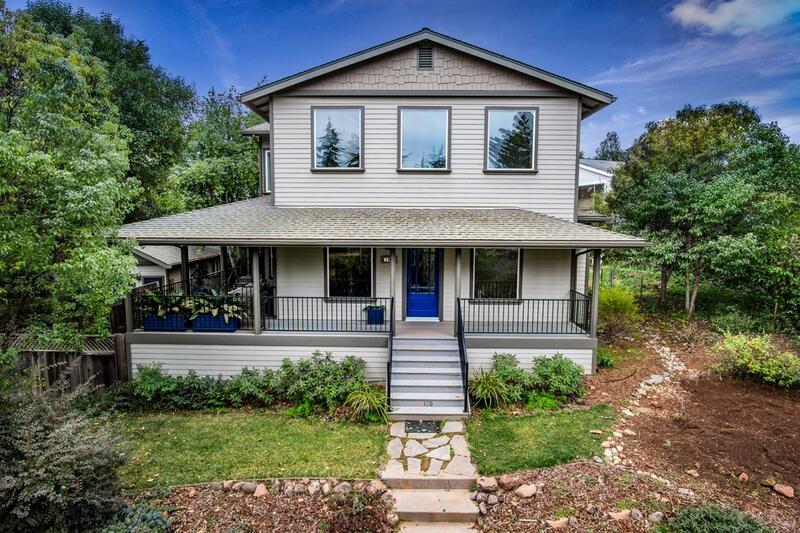 Truly one of Auburn's most charming vintage homes with Sierra view! Ideally located in highly desirable Aeolia Heights... with a short walk to canyon trails or downtown for dining and entertainment! Home rebuilt from studs in 2005, including roof, HVAC, electrical, appliances, plumbing, and beautiful wrap porch. Essentially a newer home with all of the vintage charm. Kitchen includes Wolff stove, double ovens, new refrigerator. Enormous master suite with views of the Sierras, spacious walk-in closet and amazing bathroom with beautiful walk-in shower and spa tub. A junior master bedroom with ensuite bath and 3rd bedroom on ground floor. Large, finished detached garage for workshop/studio. New interior paint and carpet. Space to park your toys. Private community pool available should you desire to join. Pictures do not capture the quality and beauty of this home! It is worth your time to see this gem in person!